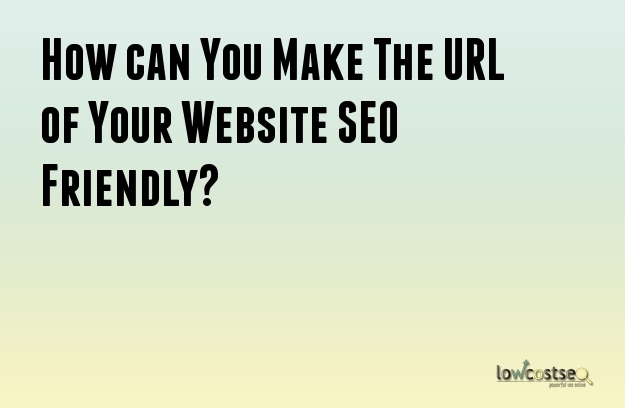 How can You Make The URL of Your Website SEO Friendly? Do you know how SEO friendly the URL of your website is? Is it helping you rank in Google for all the target keywords? Even the target keyword in the URL of your website can help you climb higher in the search engine. Here are some tips that you should follow to maintain this. What is the Most SEO Friendly URL Structure? Have you ever wondered as to what makes the URL of your website SEO friendly? In order to understand the extent to which the URL is SEO friendly, you have to first understand what does the structure of the URL actually looks like. The first thing is that the URL’s that are provided should be specific enough. You should always avoid redirecting on the site. The second that you need to maintain is that the URL should contain keywords. You should avoid giving numbers in it. As a matter of fact you should also avoid giving numbers in it. You need to understand that all URL do not hold equal value and thus are not equally important. This is the thing that is should also be hidden from the Search Engines. The pages that you require to be accessible by the search engines should be open for the purpose of indexing and crawling. You have to take care to remove word like ‘of’, ‘the’, and ‘a’. You should also remove verbs like ‘have’ and ‘are’ from the URL to make your URL focused. In case you have a lengthy URL then do not worry, it is not a problem at all. The only difference in the short URL is that they tend to be more focused. Google make the keywords that are there in the URL, bold. You should avoid using underscores in the URL. This is because they connect up the word and make it into one single word. Instead of the underscores you should dashes. Every website is supposed to have exclusive types of URL depending on the type of business that they are doing. Company Website: A company website is supposed to hold information about the various business and services that it offers. In this case you should select the shortest URL. E-Commerce Site: E-commerce is also known to have several products and other categories listed inside the site. You have to design your URL in such a way that you are able to incorporate all of them into it. The URL that you are creating should be helpful to the person who is visiting your site. This will help the URL to be tagged as SEO friendly. If you have to add products and categories to the website then you should include them in the URL too. If you add a category then it will help in defining the product and this makes it convenient for the visitors to locate it in the search engines. Blog: When you have a blog you will have to create post title. You should also make sure that you add a topic in it.